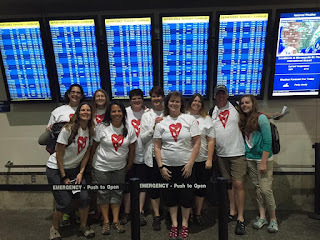 Our day began at 3:30-3:45am when all of us arrived at the MSP airport. We were tired, nervous, and excited about what's coming. After checking in and settling, we flew from MSP to Miami to PAP (Port au Prince). We enjoyed the beautiful scenery over the ocean and into Haiti. With glorious mountains greeting us we entered Port au Prince and were exposed to colorful homes and Tap Taps. Many of us had wide eyes, taking in the different language and culture. We breezed through immigration and customs. 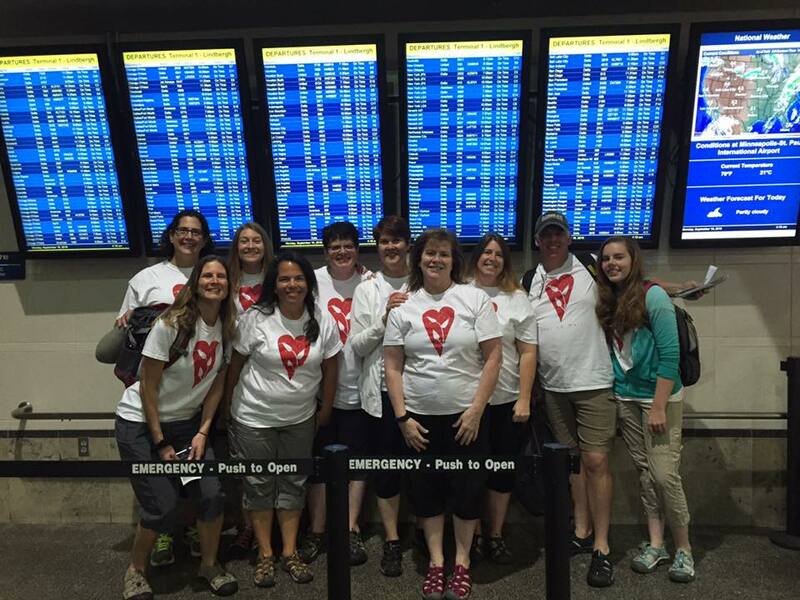 We gathered our many suitcases full of donations and walked through the airport to our Tap Tap. We had to wait a while before the Healing Haiti Tap Tap came back for us due to traffic, this was a perfect opportunity for our team members to really soak in the people of Haiti, the language, the smells, the cars/tap taps. It was somewhat overwhelming for us to absorb, but at the same time, very educational and interesting. We had an opportunity see Haitians helping other Haitians with their vehicles and burdens. After arriving here at the guesthouse, we were greeted by the Haiti staff and had dinner. After dinner, we shared our "word of the day" which varied from excitement to hope to happy to amazing to hope. We ended with Philippians 2:19-21- "If the Lord Jesus is willing, I hope to send Timothy to you soon for a visit. Then he can cheer me up by telling me how you are getting along. I have no one else like Timothy, who genuinely cares about your welfare. All the others care only for themselves and not for what matters to Jesus Christ". Our prayer for the week is that we will genuinely care for the welfare of the people we serve and for each other on our team.